A precise-fitting, no-hole approach to belts that’s been developed over almost a decade. 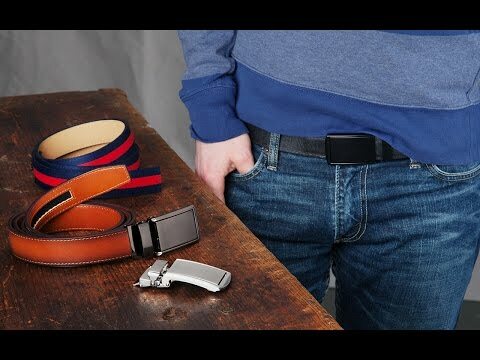 Trim the belt to fit, then slide on an interchangeable, low-profile buckle. The dual-lever ratchet smoothly adjusts the belt in 0.25” increments, letting it fit perfectly. Made with completely animal-friendly and cruelty-free materials. Love the Belt, works great and looks great. BUT I was very disappointed that the day after I placed the order I received a email from you thatu that you were offering FREE shipping on all orders. These are so easy to use and very stylish. My husband loves them! My spouse loves it. Recommend!! !